My least favorite season is pretty much here. I'm not a fan of the cold weather at all. In fact I hate every degree under 75, but anyway this post is not about how much I hate the cold. The key to being fashion forward during the cold months is a nice coat. A great outfit can be ruined by a sub par coat and a plain outfit can dressed up with a bad coat or jacket. 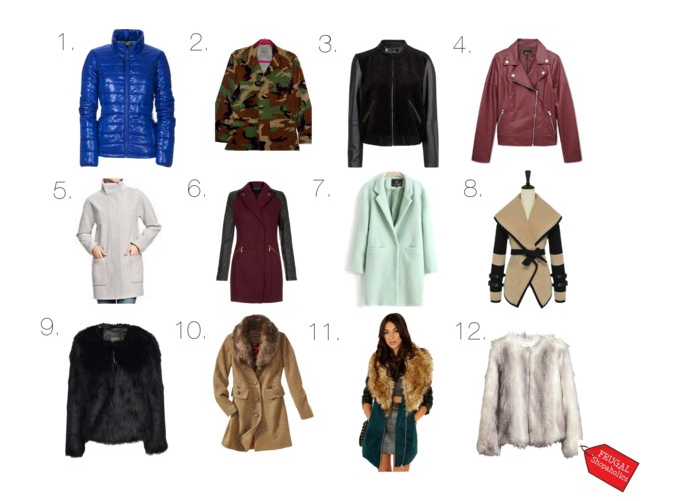 See the list below for some coats and jackets that would be great to add to your closet and they are all under $100, can't beat that! Celeb Style: Hot or Not?